Maryland Hillel’s dining hall, open for business. Mikey Pollack/Mitzpeh. Many Jewish students chose this university for its thriving Jewish community and accommodating resources. Hillel meal plans—just one of those assets—allow students to eat three kosher meals daily, in addition to Shabbat and other religious holidays. Hillel’s dining hall offers full meal plans, partial meal plans and an option to buy meals one at a time, similar to other plans offered by this university. A base meal plan at the regular dining hall costs $2,382 for the fall semester, which is comparable to Hillel’s platinum meal plan at $2,795. 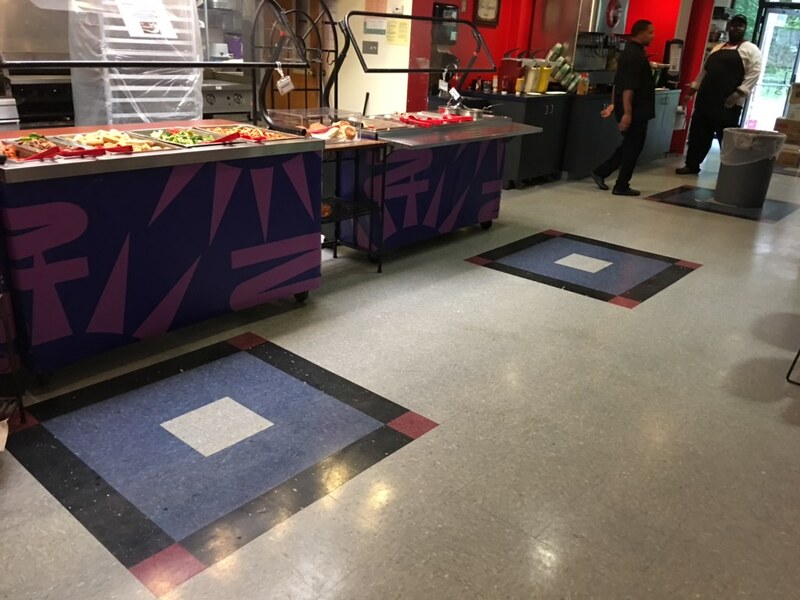 The main difference is the number of meals included: the base plan offers unlimited meals, while Hillel’s platinum plan only covers 19 meals per week. Much of this difference is due to the limited hours of Hillel’s dining hall. The South Campus Dining Hall is open 7 a.m.-midnight most days, but Hillel’s dining hall is open for meals 8:30-9:30 a.m. Monday through Friday, 11:30 a.m.-2 p.m. Sunday through Friday, and 5 p.m.-7 p.m. Sunday through Thursday. Although the hours are a bit inconvenient for some students, especially those preferring late dinners, most have few complaints and understand the Hillel dining hall’s minor restrictions. “There is limited staff, and a great staff, so they do great with what they have,” said Jacob Glassman, a freshman philosophy major. Staff members were unavailable for comment due to their busy Rosh Hashanah preparations, but their hard work and limited time may have said it all. ”It’s hard for them; I don’t think they make a profit, but they do it as a service to their students,” said Sophie Silvermintz, a sophomore early childhood special education major who has a partial meal plan. While this university’s other dining halls are all over campus, the kosher dining hall is limited to the one Hillel at the edge of South Campus. Sometimes it is difficult for students to make it to meals, but the dining hall accommodates. Hillel’s dining hall functions well, according to many students participating in meal plans. They rarely repeat meals and they usually have multiple options including a salad bar, gluten-free and vegetarian choices. Silvermintz mentioned that many students would like more options and healthier options. “The only healthy option is the salad bar; there aren’t very many healthy options for the main dish,” she said. With 6,500 Jewish students on campus, Maryland Hillel says that they are committed to enhancing the lives of Jewish students and providing an atmosphere where they can practice their religion and excel in school. And this community, largely fostered by Hillel, is a significant reason why many Jewish students chose to come to this university. No Replies to "“Hard to beat”: Students pleased with Hillel dining at UMD"